1. Use my cookbooks and food magazines more often. Yes, they do look pretty sitting on my shelf, but I’m sure that wasn’t their sole purpose in life. 2. Cook more Asian! I’m seriously hoping to get back to my cooking roots by making some of my favourite home-cooked Chinese foods. This will probably mean many calls home to mom for help! 3. Eat less sugar. Yeah…enough said. 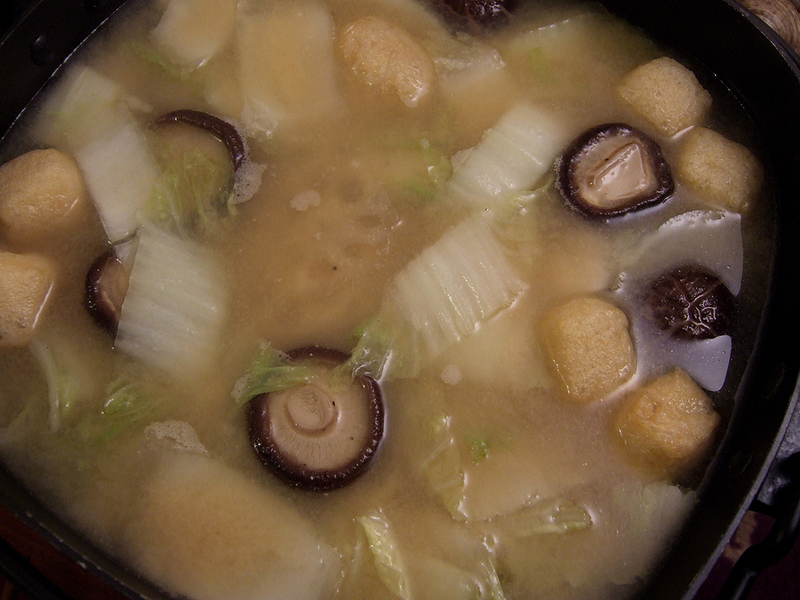 At least my year got off to a healthier start with a Seafood Miso Hotpot. 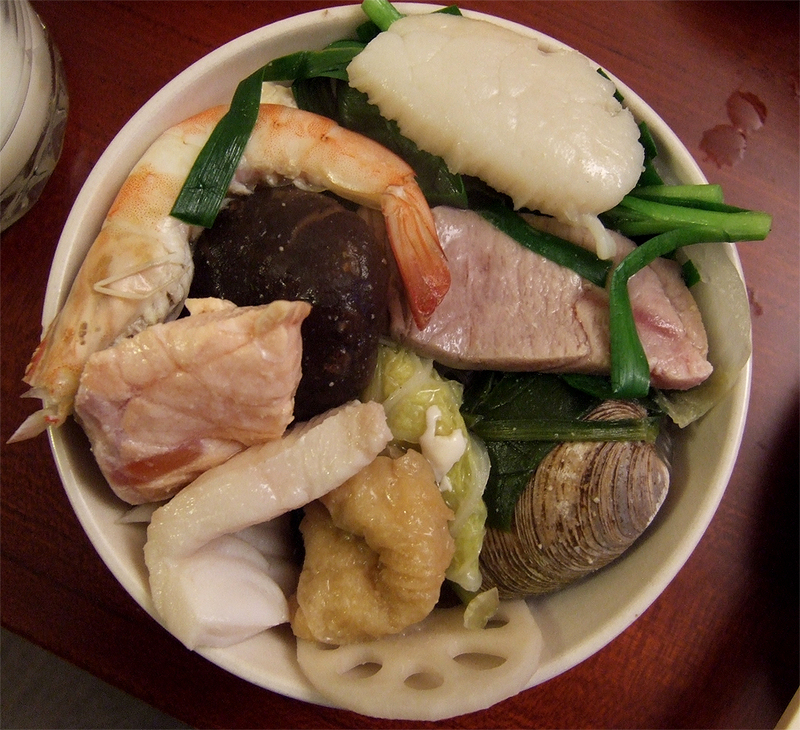 Inspired by a seafood nabe we had a few years back (in all places) Jasper, Alberta, my family has been making a miso-based hotpot for some time now, gently flavouring delicate seafood without overpowering it. 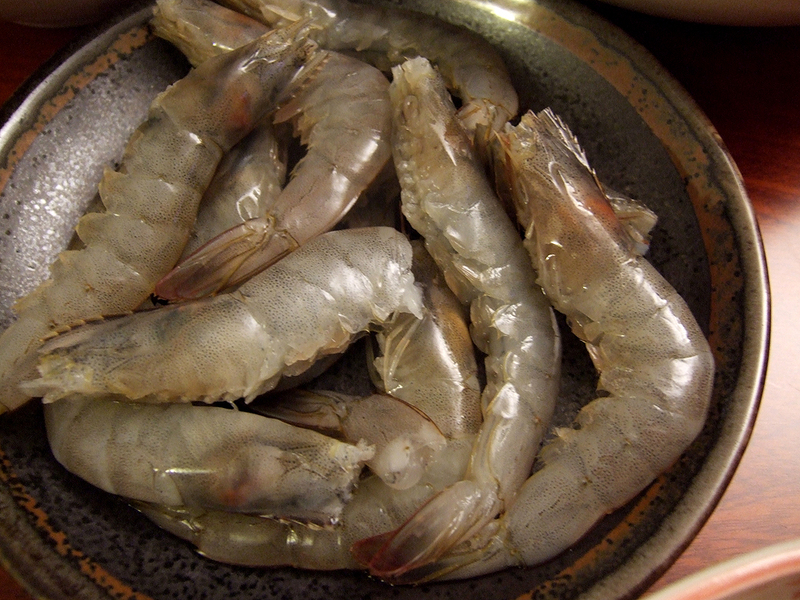 …and some head-on prawns from T&T. My favourite part of hotpot is also the loads of vegetables that are offered at the table. My favourite is napa cabbage, which turns incredibly sweet and soft when it’s been cooked down in the broth for some time, but spinach, watercress, and Chinese chives are also popular items in our family. 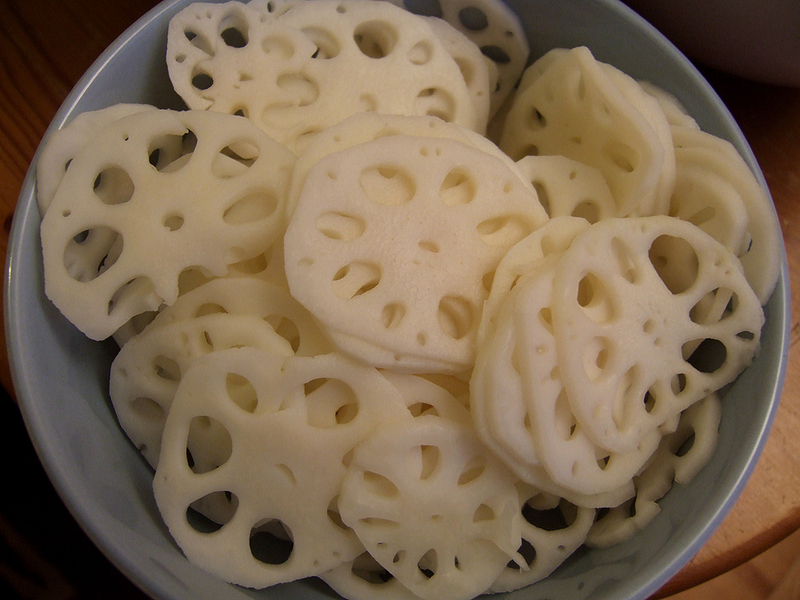 Crunchy lotus root is also a great addition to hotpot. 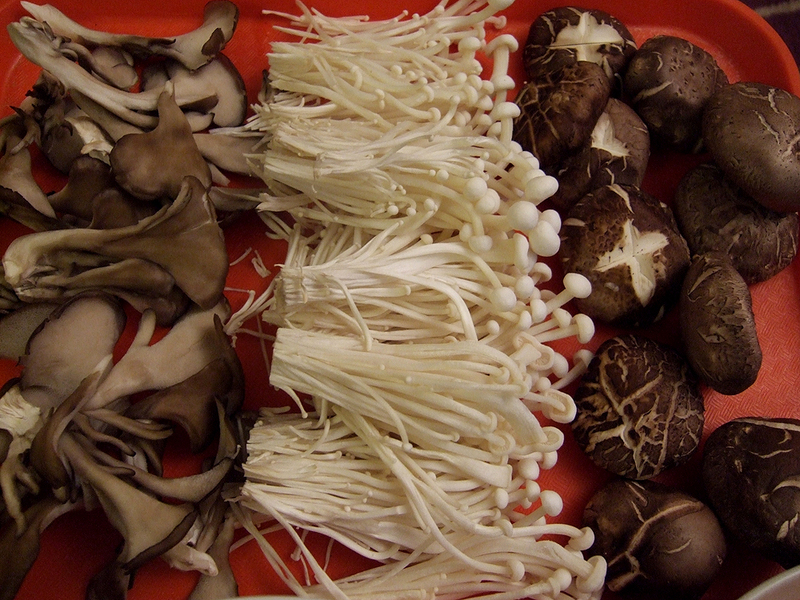 We also love to have a variety of mushrooms—very often enoki, shiitake and oyster mushrooms. 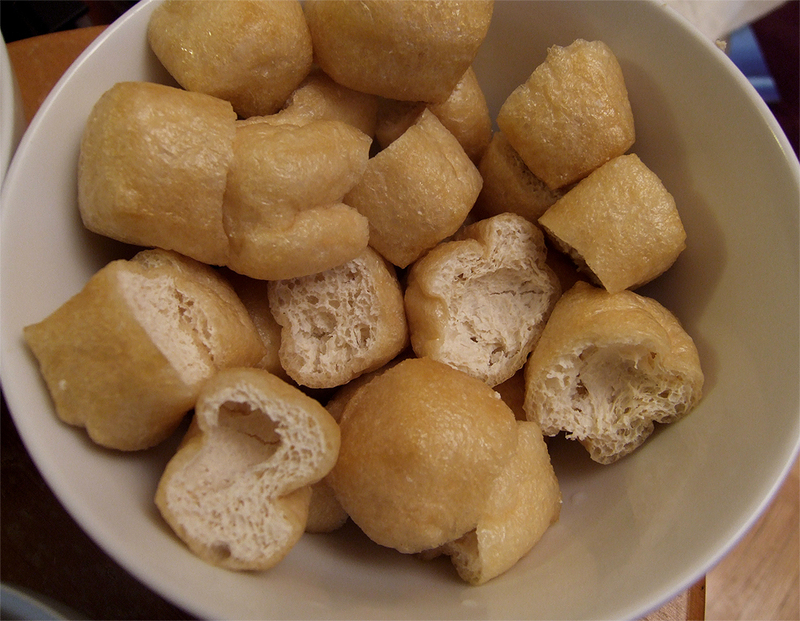 And we certainly can’t forget my favourite—tofu and fried tofu puffs! 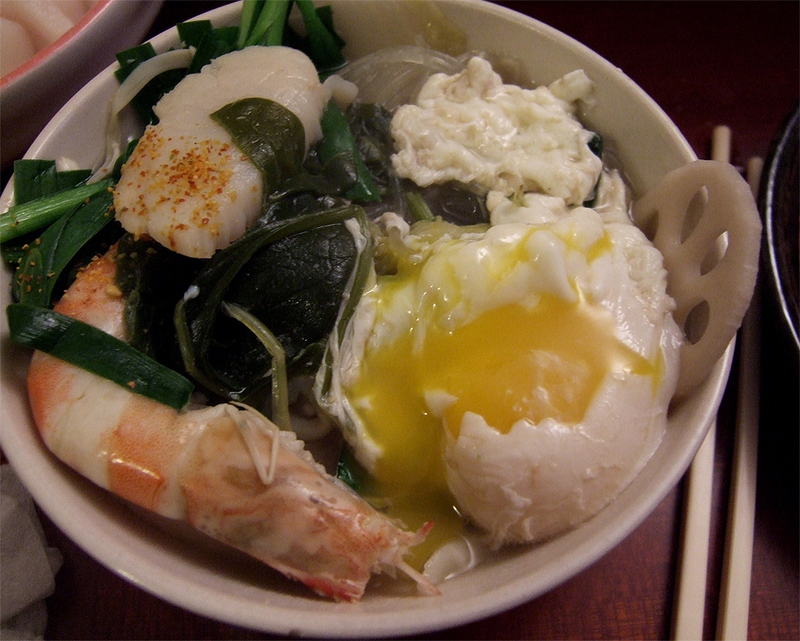 Near the end of the meal, I love to cook some noodles in the broth, serve it with some of the poached fish and seafood, and then add a lightly poached egg on top. The egg yolk drenching the noodles and running into the broth is an incredible thing, and so delicious! Nothing beats sitting around a pot of simmering broth as you pick and you choose what you like and cook it at the table. Certainly a nice break from all the meat I’ve been eating lately, and perfect for these chilly winter nights. Makes for a fun dinner party meal as well, where your guests get to participate in "cooking" their own food! Posted by Bonita at 9:46 p.m.
Mel- GourmetFury.com January 4, 2010 at 10:23 p.m.
Suzanne Gardner January 4, 2010 at 11:06 p.m. Anonymous January 4, 2010 at 11:23 p.m.
You have made some great (and yummy) new years resolutions!! Eleanor Hoh January 5, 2010 at 12:01 a.m. 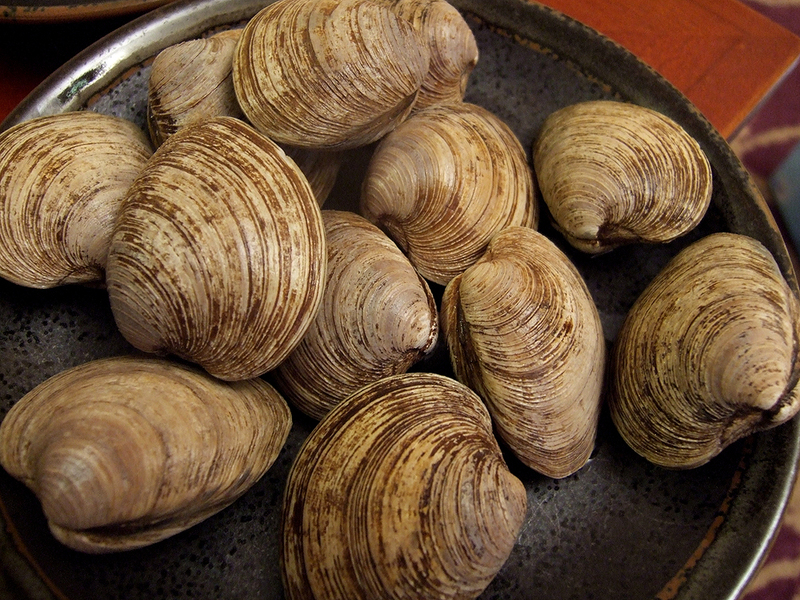 I had Steamboat as opposed to Hotpot NY's eve and it was delish and so much fun. I love all your fish and mushrooms! Hoping to post mine soon. Geoffrey Wu January 5, 2010 at 1:24 a.m.
Great post & I love your blog as recommend by Mel! Great stuff you have there. 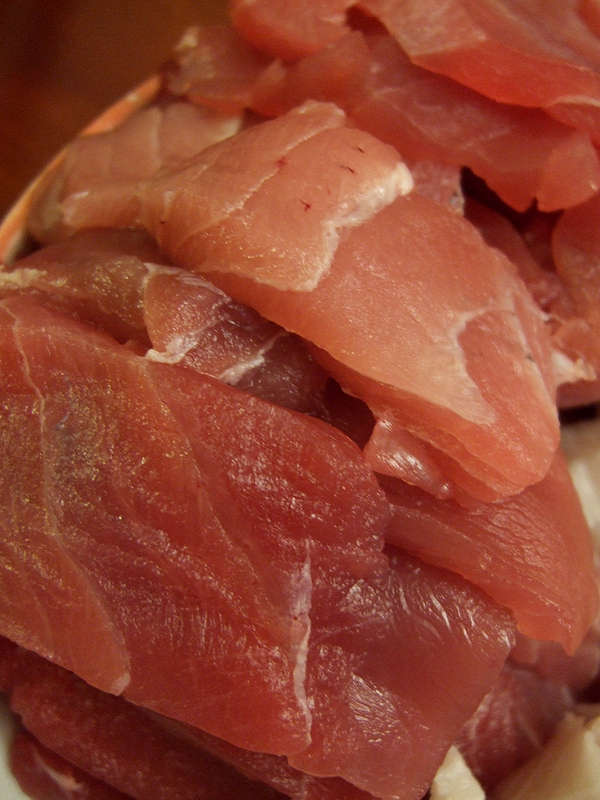 Am a fellow foodie from Hong Kong & do also check out our site at www.geoffstwitchen.com! Bonita January 7, 2010 at 10:19 p.m.
Geoffrey - Thanks! Just checked out your blog and it's awesome! 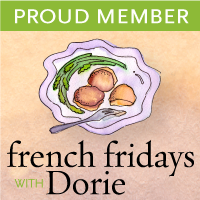 Looking forward to reading more and connecting with you!